There is a dry cleaner on almost every corner. You can pretty much drive every few blocks and you will find someone willing to take your clothes. But, what exactly are you getting out of the trip? 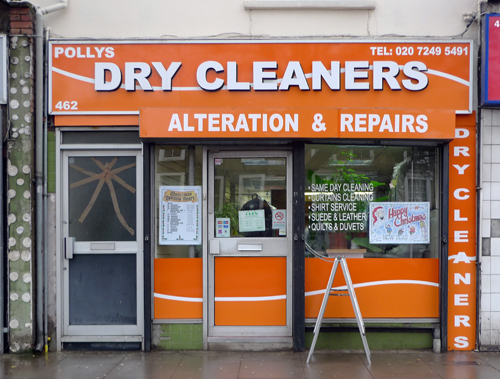 All dry cleaners are not the same. Similar to customer service from one corner store to another, when the service is bad, they are all the same. You want to take your clothes to a place that will provide you with attentive service and great care for your clothes. That's exactly what Mark Pressed4Time is all about, exceptional customer service and the best possible care for your clothes. Mark Pressed4Time offers you convenience with drop-off and pick-up to your home or office. Affordable and competitive pricing for dry cleaning, shoe repair, laundry and alterations. Expert knowledge on the care of various fabrics and garments. Expert on protecting some of your most precious garments, including wedding dresses. You work hard for the clothes you own, treat your clothes and your self to a dry cleaner that will treat you right. Contact Mark Pressed4Time to schedule pick-up services for your clothes.